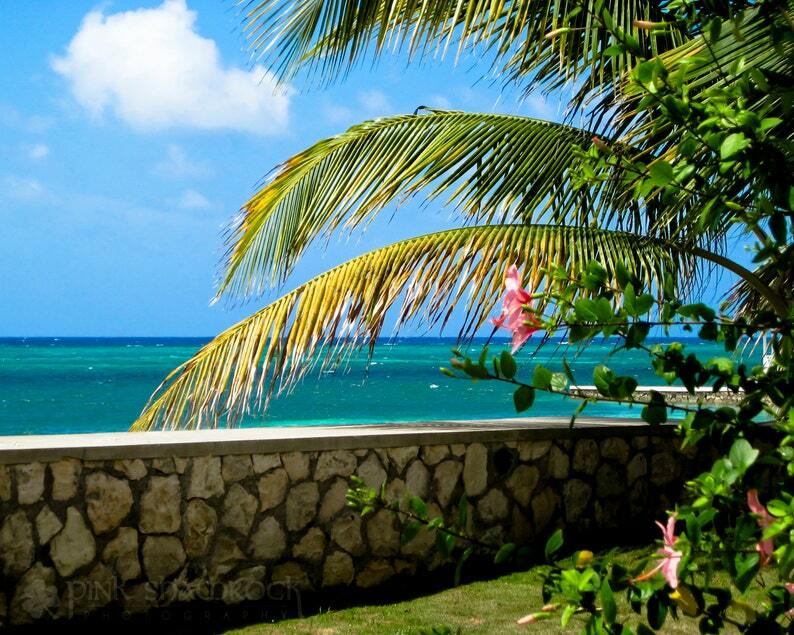 This photograph was taken in Montego Bay, Jamaica. The crystal clear waters, palm trees, and tropical flowers made for an excellent view. Ah, paradise.